BEER&Friends launched their Kickstarter a few days ago and it's already funded! Basically these guys bought a lot of "F**k'n Lasers," which is what you would be funding should you decide to participate. The lasers are used to cut some really fun designs into stainless steel, which then you would use to open your beer bottles. Now, just because the kickstarter is funded doesn't mean you shouldn't participate. The owner of the company will hand deliver your bottle opener (eye contact not guaranteed) for the right price. And they have simple levels if you just want one for yourself or a few gifts. They sent me their BEER design of bottle opener which you can see above. In this case BEER = Bear + Deer. I tested it out on Evolution Brewing's Lot No. 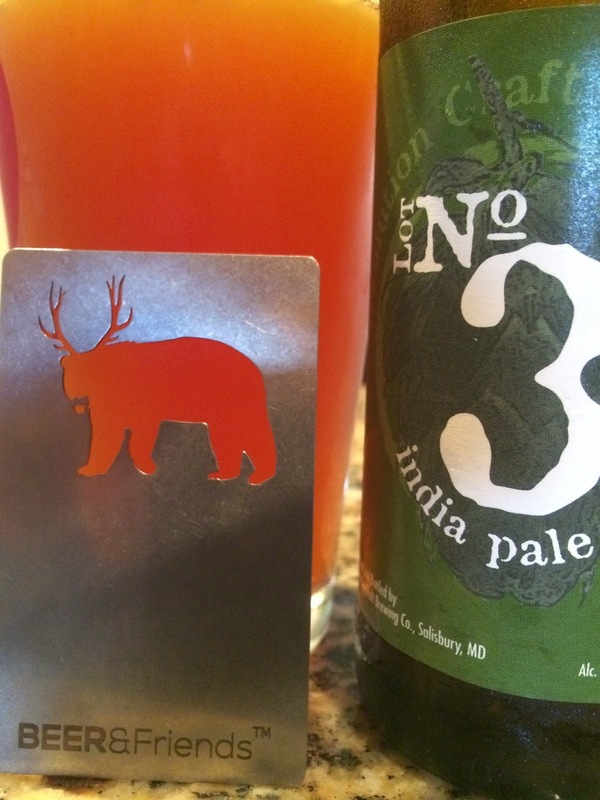 3 IPA. Worked perfectly as expected, then went right back into my wallet! Yep, thin and lightweight and better than most credit cards! Check out the kickstarter page to see other versions as well: Don't Give Two Flying Fox, Hawkward, Jackass, and Koalafied Beer Inspector are my favorites! If you fund the kickstarter, you get to choose the design. Enjoy!